Relish the memory. : Discovering Per-FIG-tion. The irony of this post resides in my intention of sharing it with you over two months ago - when a certain fruit was flourishing in its season. But after weeks of several chips keeping me down I am pleased to announce that I am back in the game! Without further or do I present to you my recent (albeit historical) FIG discoveries. A toast to the Fig. Fresh is best. Never has this statement been more appropriate. Since hearing a friend’s tale about frolicking along the roadside in Greece munching on the freshest, most succulent of Figs - I have been curious. 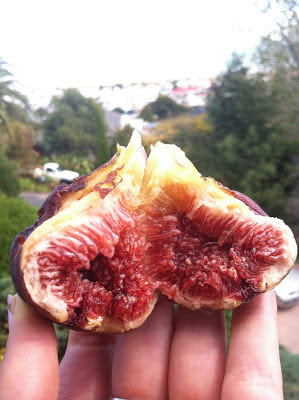 My first few experiences of fresh figs have been sub-par, so for a while now I have queried what all the fuss was about. Picked by hand from a lonesome tree in Thames. One bite was all it took. 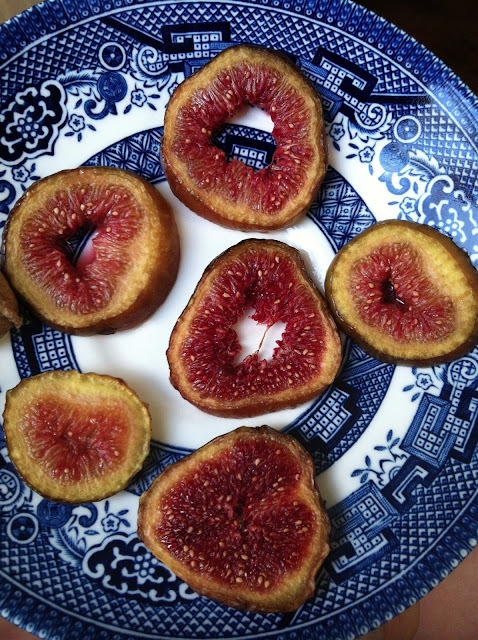 These beauties truly are PER-FIG-TION aka. PERFECTION! The Fresh Fig in all her glory. Figs, like most fruit, come in several different varieties, each with a slightly different size, colour, texture and flavour. Some are green and firm, while others are deep purple and soft to touch. Some have a luscious red interior while others veer towards a cream or white. All are filled with tiny little seeds that have this fabulous ability to pop and crunch between your teeth creating their own party in your mouth. Some describe the taste as a mix of peach and strawberry – dependent on variety & ripeness. Whatever it is it’s dam delicious. Savouring the few I had freshly picked, I cut one horizontally, drizzled it with a little honey and baked for just a few minutes. The result: slices of heaven. After FIG-uring out my new found love for this delightful fruit I was on the hunt to consume them in every way I could. To my amuse this journey included a celebrity encounter and a visit to one of NZ's finest yet funkiest eateries. Depot. There are few things greater than the combination of being referred to as ‘on the same page’ as the culinary food great, one of them was being served a Fig, Blue Cheese, Prosciutto & Rocket Toastie by the man himself - Al Brown. This small plate was the definition of balance. Enhanced by a strong creamy blue, a salty succulent sliver of cured pork, a few delicate peppery leaves and sitting between two crisp slices of Olaf’s finest sourdough. The lusciously red and ripe figs shone through like a shooting star. The memory of this mouthful sits right up there on my 'tastes-to-savour' mantle piece. 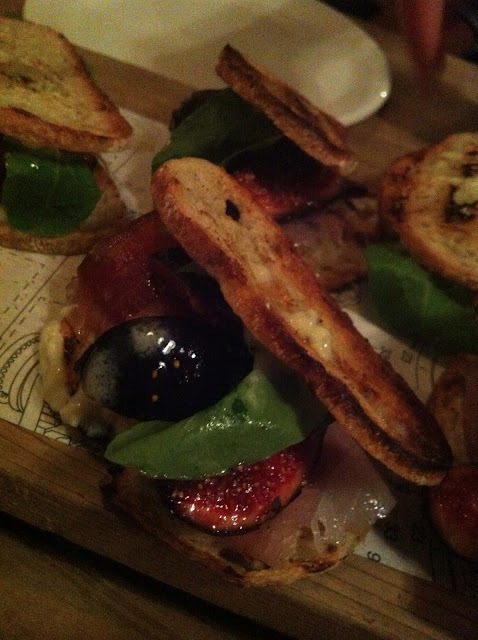 Fig, 'Salash' Prosciutto, 'Kingsmeade' Blue Cheese & Arugula. Oh Yes. Another intrepid journey led us to an Auckland food lovers playground the La Cigale Markets. After feasting through a Wardolf salad filled with apple, celery & candied walnuts, stealing a bite of the sensational Rolled Pork Belly Sandwich (crackle included), and taste testing several spoonfuls of hummus. My sweet tooth emerged and on my second lap via the donuts, almond croissants, pain au chocolats and more I spotted it. 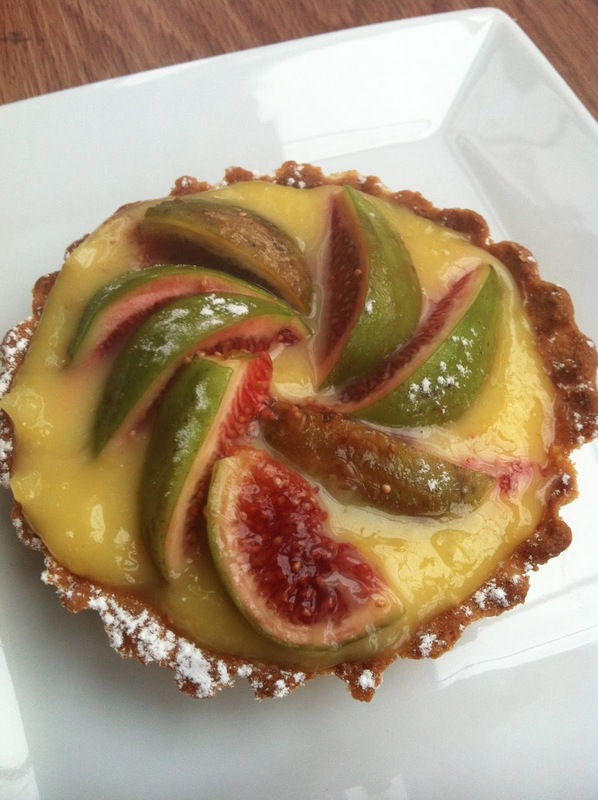 The cutest little friend…a Fig & Lemon Curd Tart. With a delicate buttery pastry, glossy tangy curd and finished with perfect fig segments and a sprinkle of the sweet white dust. Contentment was well and truly achieved. Fig & Lemon Curd Tartlet. Just as I thought the Fig's seasons door was closing. 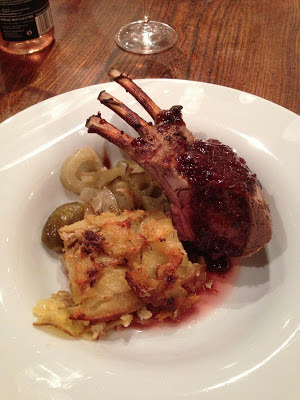 My favourite foodie and I had some fun with a rack of Lamb and two varieties of figs! With an entrée involving several dozen Bluff Oysters, Kapiti Smoked Havarti & Kikorangi Blue Cheese, A fig, port & cardamom paste and several slices of baguette. This was going to be one tasty night in! Inspired by several recipe books and following our nose we put together a dam fine feast. The result: Mustard Lamb Racks roasted on a bed of figs and fennel, topped with a port, balsamic & fig reduction. Served with a Anchovy & Garlic Potato Gratin and freshened with a Crunchy Slaw featuring Chevron (goats cheese) and honeyed walnuts. It was a truly incredible dish and an honour to share the creative process with one of my life's faves. Lamb + Potato + Fig. PerFIGly perFIG in everyway. If that doesn’t convince you I don’t know what will. Maybe a trip to the Mediterranean? See you there!